Piech: A "gifted car and engine developer whose attention to detail is limitless." 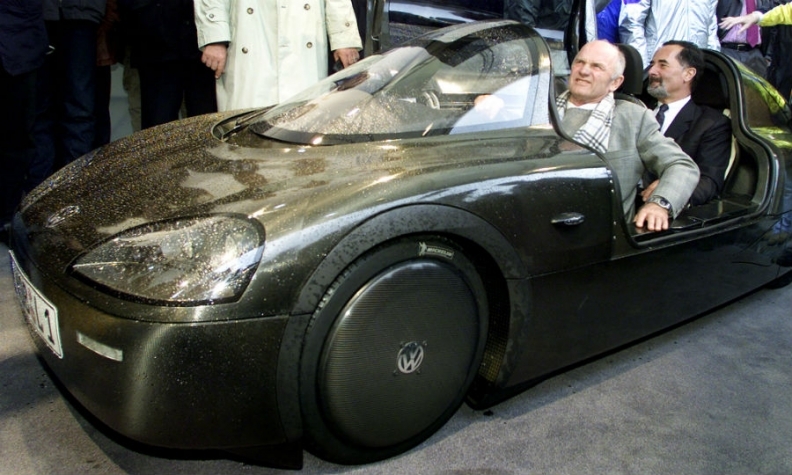 Ferdinand Piech, who celebrates his 80th birthday Monday, can look back at a lifetime of accomplishments that put Volkswagen Group on the path to becoming the world’s largest automaker. Piech's relationship with VW Group is ending bitterly after he lost influence and power. During his career, Piech was regarded as ruthless and uncompromising, an image he did nothing to counter, but his achievements are indisputable. An engineer by training, Piech rose to become VW Group's CEO and later chairman. Along the way he turned VW's Audi brand into a true rival to Mercedes-Benz and BMW, rescued VW from the threat of bankruptcy and added brands such as Bentley and Bugatti. Piech began his career with Porsche, the sports car company founded by his grandfather Ferdinand Porsche, where as chief engineer he developed its first Le Mans winning car, the Porsche 917. He nearly bankrupted the company in the process, leading to the Porsche-Piech clan banning family members from operational roles in the automaker. Looking for a new start, Piech arrived at Audi in 1972 as an engineer for special projects. At the time Audi had a conservative image and was regarded as a mass-market automaker on the same level as Opel. Piech, who rose to become Audi CEO, took the brand upmarket by focusing on technological innovation. Piech engineered the first five-cylinder gasoline engine and later the first permanent all-wheel drive for road-going cars in the Audi Quattro, which debuted at the 1980 Geneva auto show. In 1989 Audi unveiled at the Frankfurt show the world's first production TDI (turbocharged direct injection) five-cylinder diesel engine in the Audi 100. Piech also moved the brand into lightweight construction very early on, developing Audi's A8 flagship sedan to be the first car to use an all-aluminum body frame in 1993. Audi today continues to be a leader in lightweight construction and its aluminum A2, which was axed in 2005 because of poor sales, is seeing a renaissance in the used-vehicle market. When he was appointed Volkswagen CEO in January 1993, Piech inherited a company in crisis. That year VW posted what was its heaviest loss until its diesel emissions scandal plunged it to a 4.1-billion-euro deficit for 2015. Under his leadership, VW introduced a then-revolutionary platform sharing strategy, in which various cars competing in the same segment under different brands were built off the same architecture to save costs. Toyota won a reputation for green cars with the Prius hybrid but Piech was one of the first to experiment on ultra-low consumption cars earlier. In 1999, VW introduced a Lupo minicar with pioneering technologies to reduce fuel consumption to 3 liters per 100km (78 mpg U.S.; 94 mpg Imperial). Piech developed its successor, the experimental “1-Liter-Auto," which used just under 1 liter of diesel per 100km. He drove one to his final annual meeting as VW's CEO in 2002. More than ten years later the idea was made reality in a small series production vehicle called the XL1. In the driving seat: Piech at the wheel of a 1-Liter Auto with former VW CEO Bernd Pischetsrieder in the passenger seat. Piech continually sought to make game-changing deals, not always with success. A consummate collector of automotive brands, his thirst for acquisitions never seemed to be stilled as long as one target was still in play. Bugatti, Bentley and Lamborghini were all purchased in 1998. 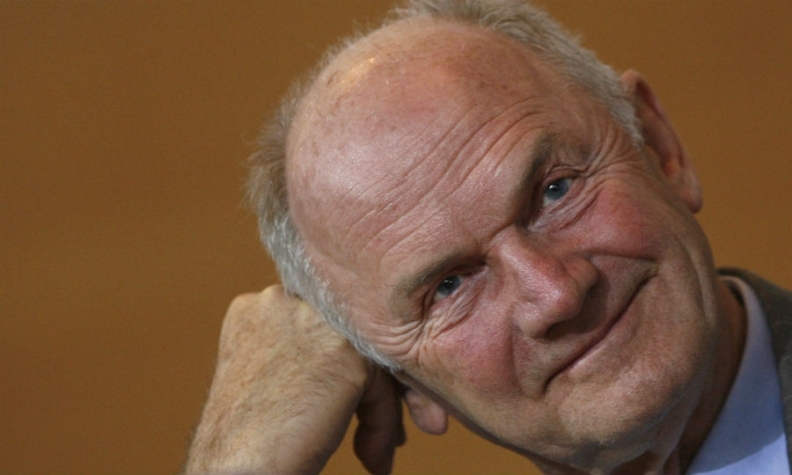 Piech convinced fellow billionaire Jacob Wallenberg in March 2008 to sell his family's stake in Swedish truckmaker Scania to Volkswagen, laying the foundation for its heavy commercial vehicle business. Piech also used personal connections to persuade Osamu Suzuki to ally with Volkswagen to improve VW's market position in the Indian subcontinent and southeast Asia. The automakers' alliance collapsed amid claims from Suzuki about VW's arrogant approach to the partnership. Five years ago, Piech grabbed Italian premium motorcycle manufacturer Ducati but his repeated overtures for Alfa Romeo were rebuffed by Fiat Chrysler CEO Sergio Marchionne. He insisted on building the Phaeton, a luxury sedan that could match German rival Mercedes-Benz, complete with its own showcase factory. The Phaeton cost more than Mercedes' flagship S class. Analysts Bernstein Research said it was a financial black hole that lost 28,000 euros per unit sold. Piech also pushed the development of the Bugatti Veyron to be the world’s fastest street-legal production car, with a top speed of 431kph (268 mph). Bernstein Research said VW lost 4.6 million euros on every unit sold. Piech told Automobilwoche, a sister publication of Automotive News Europe, that the five most important cars he was responsible for were (in this order): the Porsche 917, Audi Quattro, VW Phaeton, Bugatti Chiron, and VW XL1. Piech picked the 1,500-hp Chiron over its 1,000-hp Veyron predecessor because it pushed speed boundaries even further than the Veyron. Former Porsche CEO Wendelin Wiedeking told Handelsblatt, a German business paper, last week that Piech is a "gifted car and engine developer whose attention to detail is limitless." Nothing left the production line that Piech had not personally closely inspected, Wiedeking said, but this was not always sensible from a business perspective. Piech was not consistent and "it was always a high risk gamble to guess if you had his support," said Wiedeking, who stepped down as Porsche CEO in 2009 after losing a power struggle with Piech. When asked about Piech's accomplishments last month, Hans Dieter Poetsch, Piech's successor as VW chairman, said: "There is not enough time here to sufficiently pay homage to him. The short version is personally I think Ferdinand Piech set unforgettable milestones in automotive industry and he played a material role in the existence of the Volkswagen Group in its current state." Piech's brilliance is almost overshadowed by his ruthless ego that tolerated no dissent and created an atmosphere of fear. Almost as soon as he arrived as VW CEO of the group in January 1993, heads started to roll in VW Group's headquarters in Wolfsburg, beginning with Daniel Goudevert, head of brands at Volkswagen. Piech fired three Audi CEOs in sucession: Franz-Josef Kortuem, who had succeeded him at Audi when Piech moved to the parent VW Group; then Kortuem's successor Herbert Demel. The third, Franz-Josef Paefgen, was shunted to Bentley shortly after Piech told the media he found Audi in a state of "inertia." Former BMW CEO Bernd Pischetsrieder was a high profile victim. Piech picked Pischetsrieder to succeed him as VW CEO in 2002 after Pischetsrieder impressed him by winning a bidding battle between BMW and VW to buy Rolls-Royce. But the two clashed after Pischetsrieder pushed for an aggressive restructuring at VW. Pischetsrieder stepped down in 2006 and was replaced by Piech's then-protege Martin Winterkorn, who was head of Audi. 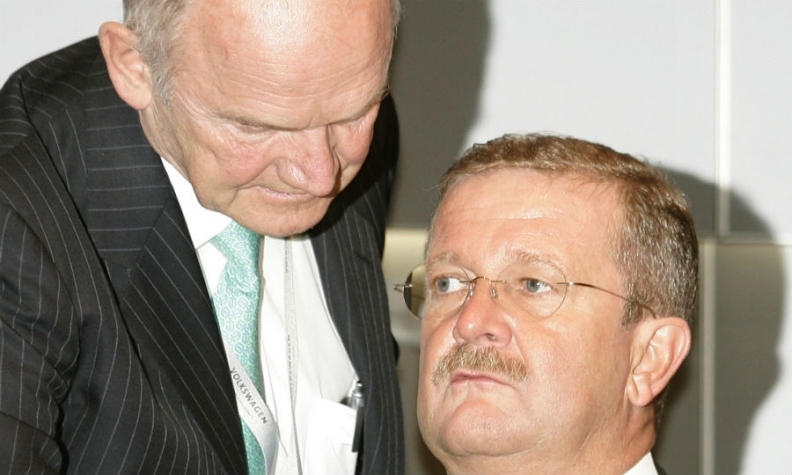 Porsche's Wiedeking fell foul to Piech’s scheming partly because of his own poor judgement. Wiedeking attempted to use Porsche's small VW stake for a hostile acquisition of VW Group using VW’s big cash pile to finance the takeover. When the Lehman crisis struck and banks refused refinacing, Porsche was saddled with 12 billion euros in debt. Unable to gain control over VW's cash reserves, Porsche almost collapsed. Piech, left, clashed with Porsche CEO Wiedeking, right. The two are pictured in 2007. Piech convinced his family to get rid of Wiedeking and sell the sports car maker to VW Group to pay down its financial obligations. As Piech was celebrating his victory, the German media printed front page pictures of his cousin and rival Wolfgang Porsche tearfully informing Porsche employees in Stuttgart that after decades of independence, the carmaker would become a cog in the massive Volkswagen machine. Even Piech's closest allies eventually lose favor. Piech tried to remove Winterkorn as VW CEO but other supervisory board members including Wolfgang Porsche supported Winterkorn and Piech quit as board chairman in April 2015. Five months later Winterkorn, who was about to get a contract extension as CEO and was expected eventually to succeed Piech as VW chairman, stepped down when VW's emissions-rigging scandal was made public by the U.S. Environmental Protection Agency.